China and India's new-found interest in trade and investment with Africa - home to 300 million of the globe's poorest people and the world's most formidable development challenge - presents a significant opportunity for growth and integration of the Sub-Saharan continent into the global economy. 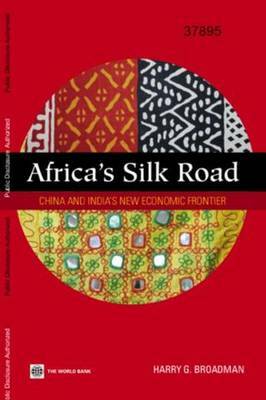 ""Africa's Silk Road"" finds that China and India's South-South commerce with Africa is about far more than natural resources, opening the way for Africa to become a processor of commodities and a competitive supplier of goods and services to these countries - a major departure from its long established relations with the North. A growing number of Chinese and Indian businesses active in Africa operate on a global scale, work with world-class technologies, produce products and services according to the most demanding standards, and foster the integration of African businesses into advanced markets. There are significant imbalances, however, in these emerging commercial relationships. These can be addressed through a series of reforms in all countries: ""At-the-border"" reforms, such as elimination of China and India's escalating tariffs on Africa's leading exports, and elimination of Africa's tariffs on certain inputs that make exports uncompetitive; ""Behind-the-border"" reforms in Africa, to unleash competitive market forces and strengthen its basic market institutions; ""Between-the-border"" improvements in trade facilitation mechanisms to decrease transactions costs; and reforms that leverage linkages between investment and trade, to allow African businesses to participate in global production networks that investments by Chinese and Indian firms can generate.